One thing can instantly transform a world-class poker pro into a mega-whale: Tilt. No amount of poker prowess can compensate for losing it emotionally while playing, which is why focusing on the mental side of things is so important to be a winning player. In a game of small edges, just a single self-destructive, tilt-filled session can undo the work of ten great ones. So, how can you stop tilt from ruining your hard work? I think there is one, simple answer: take time off. Any time I was on a downswing and feeling increasingly more tilted each day I would step away from poker to reset mentally. Usually, no longer than a month away from poker was enough to end the emotional turmoil. Brief hiatuses are effective because they remove you from the cause of negative emotions. Distancing yourself from poker entirely allows you to de-stress, relax and spend time enjoying other activities in your life. Another benefit of a taking a break is that you’ll gain perspective on your situation. When your day-to-day life centers on poker, it makes sense that a downswing would be emotionally taxing—despite knowing that downswings are a fact of life for poker players. Taking time off will remind you that there is more to life than poker, and that your happiness does not ultimately depend on how good your EV graph looks. For time off to be as effective as possible, you need to act the moment you feel your emotions are getting the best of you. Taking a break right when you feel tilt coming on will keep it from wrecking your bankroll. To the extent that you can stop tilt from happening in the first place, you need to first identify what sets you on an emotional downturn (more on that here). Classic poker answer: it depends. Ultimately, you should take as much time off as you need, i.e., until you feel capable of playing your A-game and have a positive outlook again. For example, if just a single session has taken a bad turn, you might only need an hour or so to step away, get some fresh air and take in a change of scenery. If you’re experiencing a prolonged downswing, and feel apt to tilt at any time during a session, then you might need a week- or month-long break from the game. For those of you who play regularly for a living, taking extended breaks might seem crazy. It certainly did to me when I stepped away from the game. After spending the majority of my waking hours playing poker for over two years, the idea of not playing at all seemed much too drastic. But, looking back now, the time I took off marks a turning point in my career. It put an end to the downward spiral I was on, and I came back motivated to get my game in better shape than it had even been before. So, the next time you feel tilted consider that the solution might simply be to walk away, for a few minutes, a week, a month—whatever it takes to diminish the feeling that nothing can go right. Remember: poker will be there tomorrow. Come back when you’re feeling positive and excited to play, because that’s when you play your best. 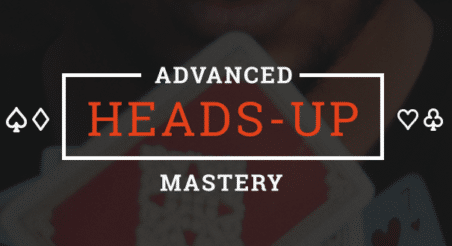 Note: Ready to take your poker game to the next level? Crush your competition with strategies from world-class players when you join the Upswing Lab. Learn more now!